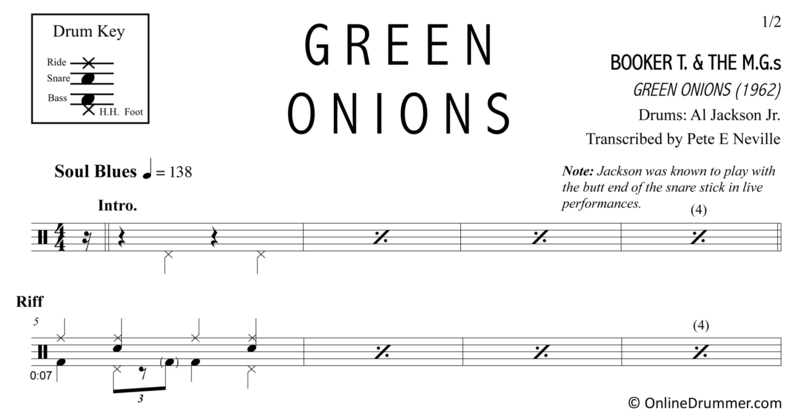 The full drum sheet music for “Green Onions” by Booker T. & The M.G.s from the album Green Onions (1962). 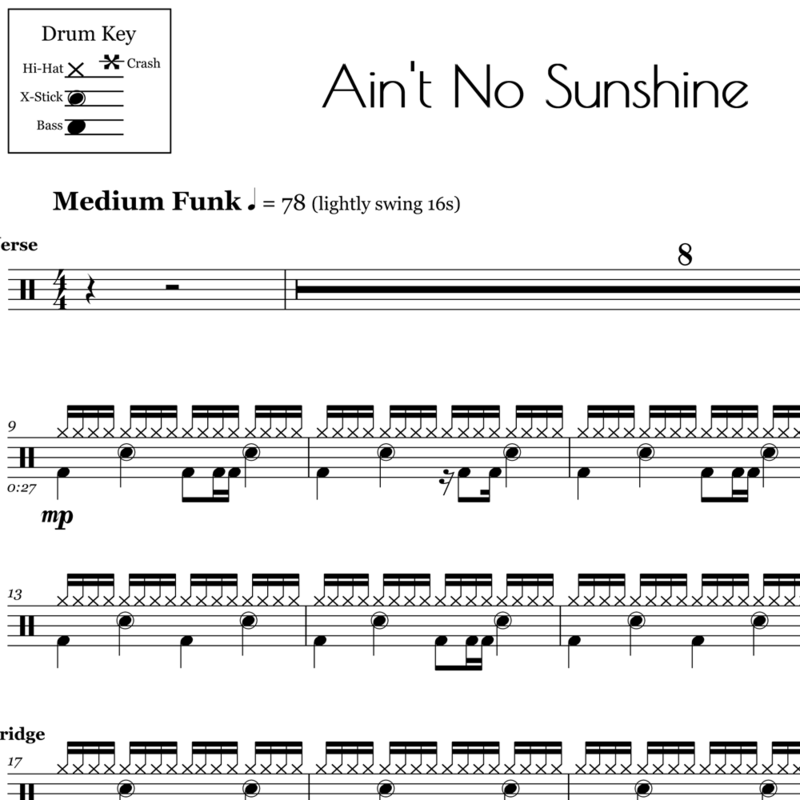 The full drum sheet music for "Ain't No Sunshine" by Bill Withers from the album Just As I Am (1971). 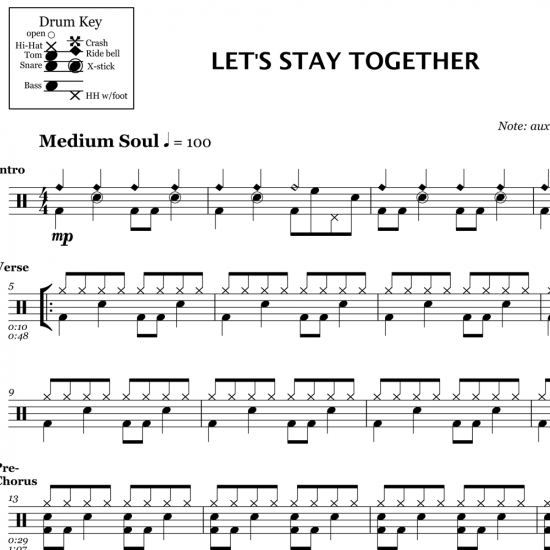 The full drum sheet music for "Let's Stay Together" by Al Green from the album Let's Stay Together (1972).